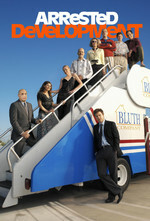 Some of the Bluth company's money is unfrozen and everyone wants a piece, leaving Michael to decide where to spend it while dealing with a difficult board member. George Michael and Maeby investigate a mysterious figure, Lindsay protests the war, GOB and Tobias ponder business opportunities. Meanwhile, Mr. Vandenbosch is still missing. Wife: I'm in love with your brother-in-law. GOB : You're in love with your own brother? The one in the army? Wife: No, your sister's husband. Wife: No, that's your sister's brother. GOB : No, I'm my sister's brother. You're in love with me. Me! Wife: I'm in love with Tobias. Wife: I know it can never be, so I'm leaving. I'm enlisting in the army. GOB : To be with your brother? The typo is fixed thanks to mod intervention! I cannot tell you how much that has weighed on me.